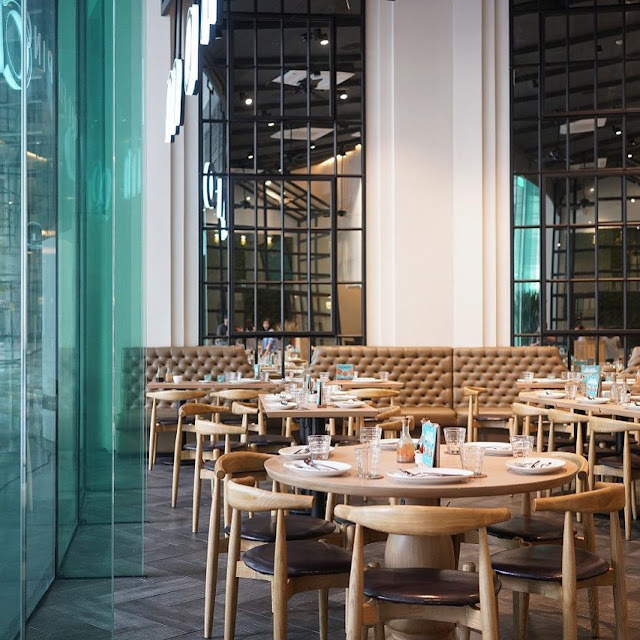 I've been hearing great reviews with Manam. That's why when we celebrated my Birthday at Shangrila the Fort (Will post on a separate review) I told Dadai to have our Dinner there to celebrate. What I loved about Manam is the different portion sizes that they offer. From Small, Medium, Large. Most restaurants only offers Small and Large. 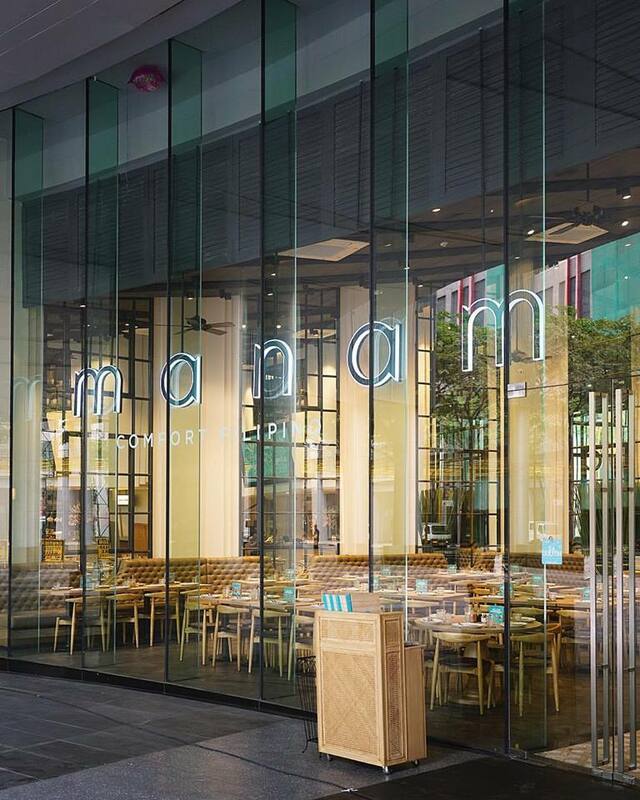 But at Manam, you can order as many as you want for you to try without having left overs (or take outs). 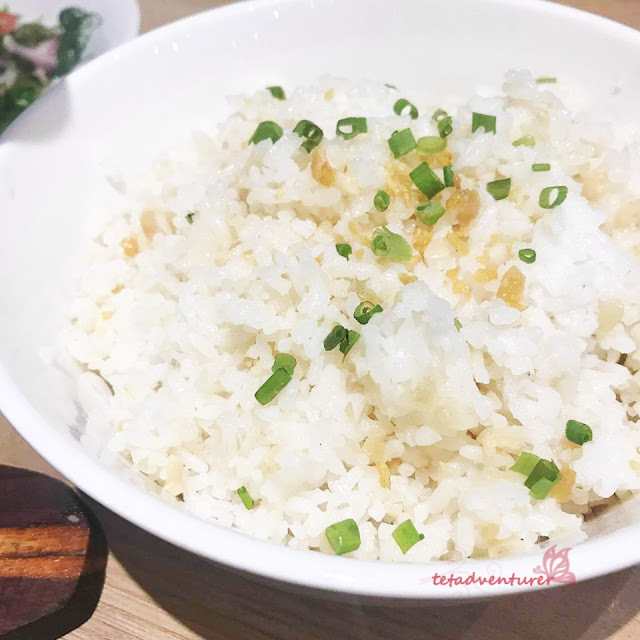 Garlic Rice (Small - 65 pesos) - Because who can resists classic garlic rice to be paired with Filipino favorites right? Ensaladang Namnam (Small - 125 pesos) - Mangoes, pomelo, onion, nuts, with their bagoong tossed all together on a dish. The mango were too sour for my liking but it complemented well with their Bagoong. Ensaladang Pako (Small - 95 pesos) - I liked this better than the first one. 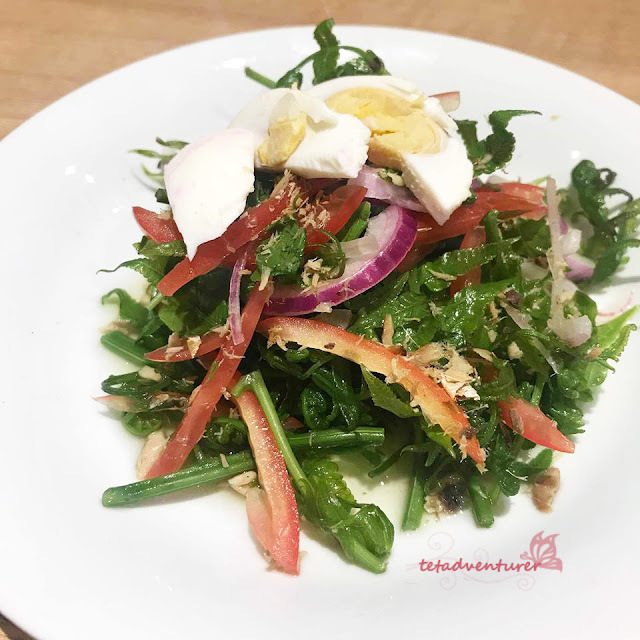 The freshness of the pako salad will crave you for more! Crunchy Salt and Pepper Squid Rings (Small - 160 pesos) - Coated squid rings fried until golden brown. Topped with some salt, pepper and chili flakes. Perfect pica pica! 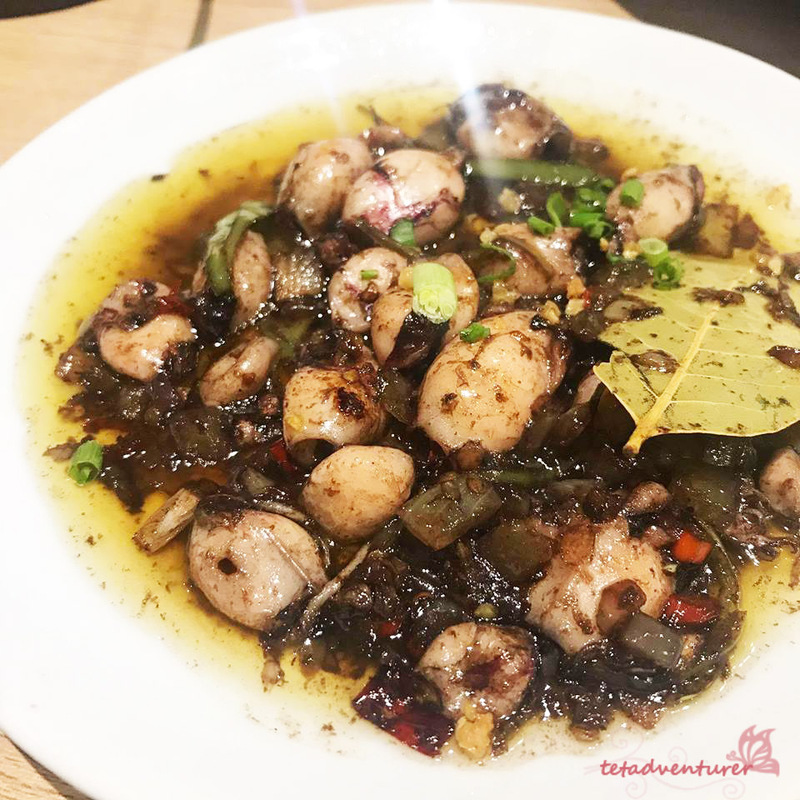 Baby Squid in Olive Oil and Garlic (Small - 160 pesos) - IT IS A MUST! 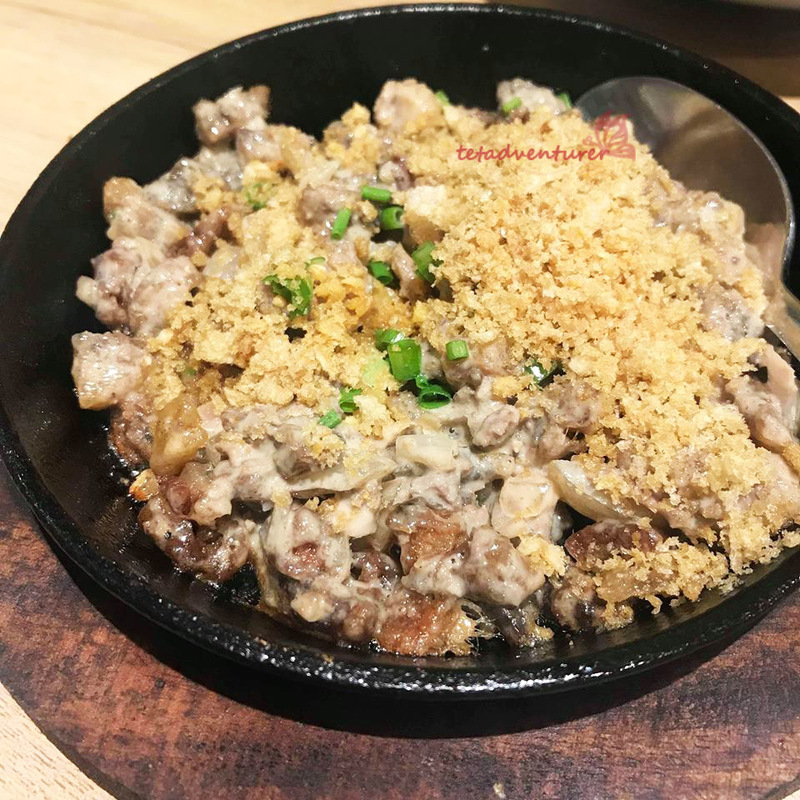 In fact, it's my favorite dish in Manam. I am devouring now as of the writing how great is this dish! The smokey flavor on this dish stood this out from the other restaurants! Me and Dadai completely wiped this plate of! 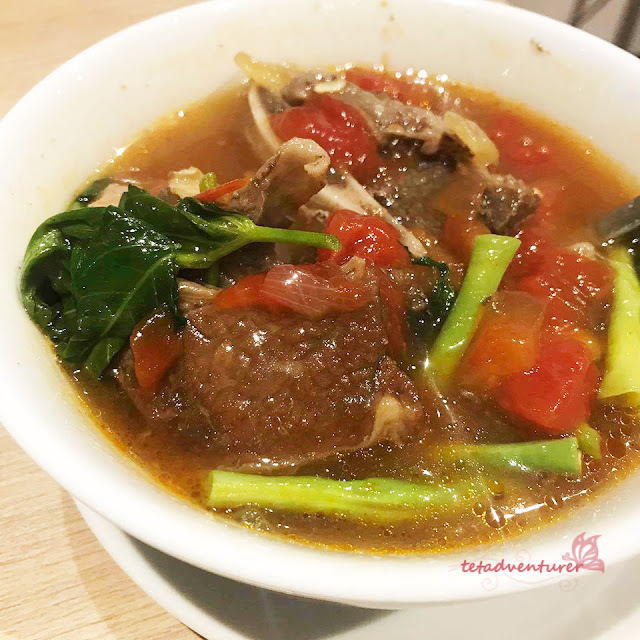 Sinigang na Beef Short Rib & Watermelon (Small - 245 pesos) - I believed apart from the sisig that made them famous, their Sinigang with Watermelon made them even more popular! Weird as it may seemed but it's delicious! The subtle sweetness of the watermelon blended well with the traditional sinigang flavor, together with the fatty flavor from the short rib! It's a winner! 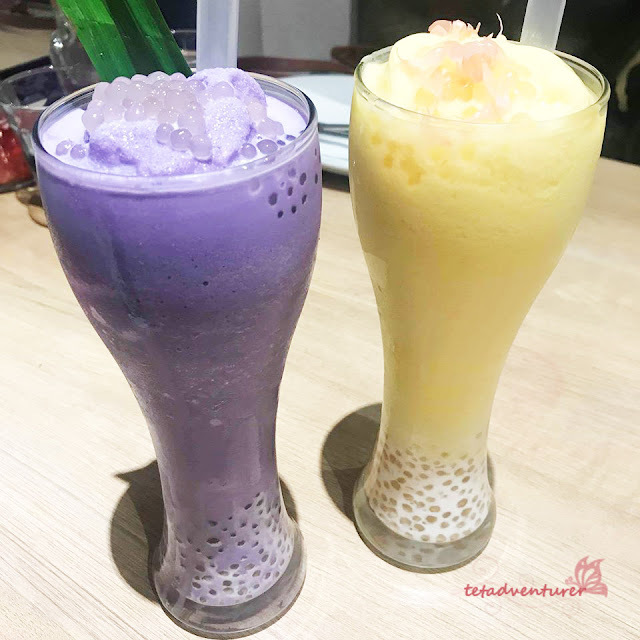 Ube + Sago (110 pesos) and Mango + Pomelo + Sago (125 pesos) - Both of these were good! But I'll be giving my vote to the Ube + Sago. It's a drink and dessert in one! But if you prefer something refreshing, then go for the later one. So yeah, this place is something I won't get tired of! Have you been to Manam? What's your favorite? See their facebook page here for details.